This story starts 20 years ago. A small military settlement right on the border seems quiet and peaceful, but this first impression turns out to be false. This is a small country with its own rules where passion, love, fidelity and adultery find their place. The characters face challenging decisions and fatal meetings, which will lead to trials… or a great love? Among Kyiv locations for the melodrama are civil registry’s office, central railway station, high-security facility, scientific and technical library (used for garrison headquarters). The group has some difficult work ahead: filming explosions on the territory of a training area. 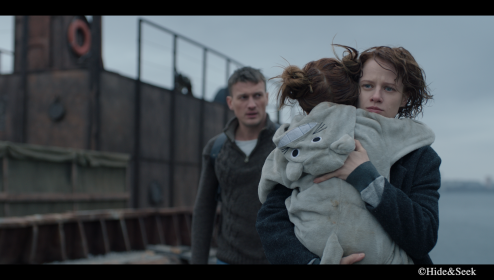 The main load in the new melodrama goes to Ekaterina Tyshkevich, a young Ukrainian actress who will play two roles – mother, and after 20 years, her daughter. Besides, the audience will spot such famous actors as Anton Batyrev, Maksim Drozd, Alla Maslennikova, Irina Efremova, and others.